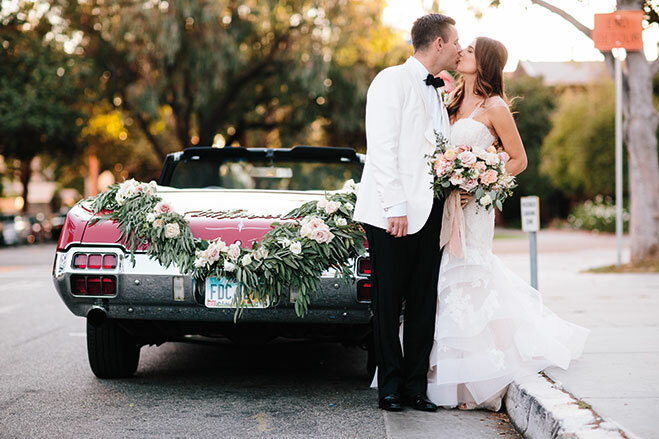 An enduring love for rose gold, garlands and Paris were the main inspiration points for bride Katie Miller and her fiance, Tim. Her other criterion, following a church wedding at the St. Monica Catholic Church, was an unexpected reception space that was neither rustic nor at a hotel. 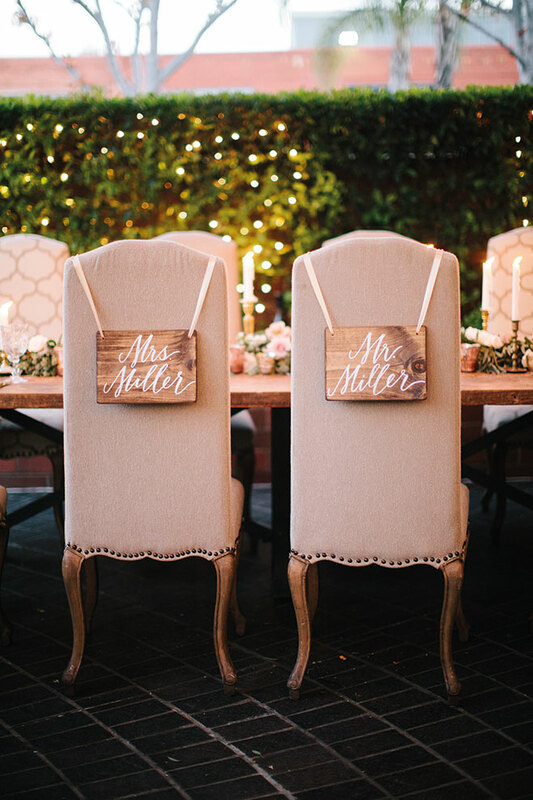 South Bay’s Stephanie Uchima Events took each requirement in stride and together, the bride and Uchima honed in on the perfect space: Santa Monica restaurant Tiato. The indoor-outdoor flow hit the mark for the couple, as did the French-Vietnamese cuisine from owner Catherine An. 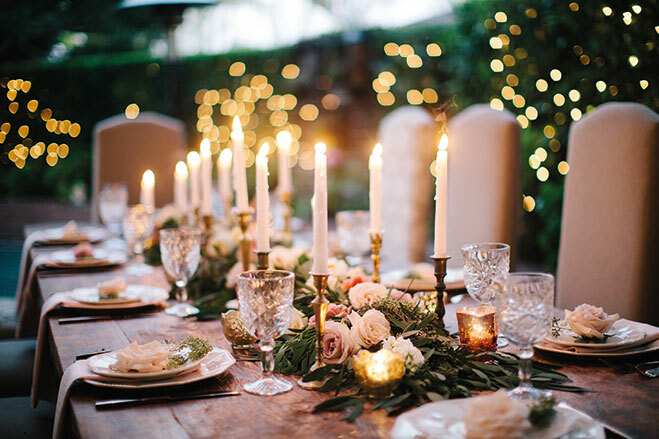 Tables featured elegant taper candles and crystal goblets. 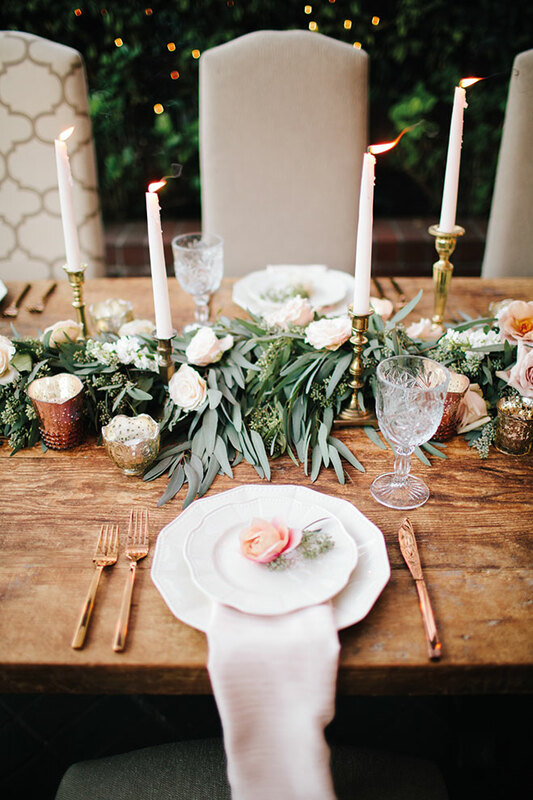 Placesettings boast rose gold flatware and votive candles nestled among creamy white florals. 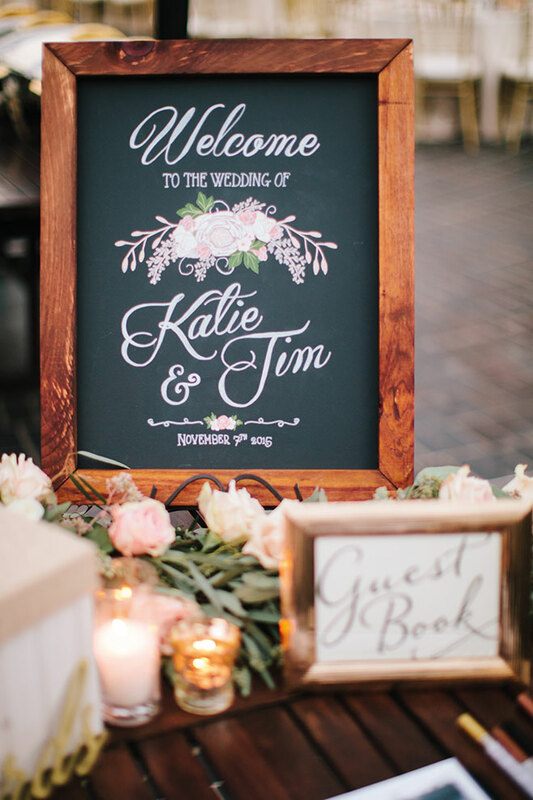 Calligraphy welcome sign with garland motif. The head table’s chairs were snagged from Tiato’s private dining room. 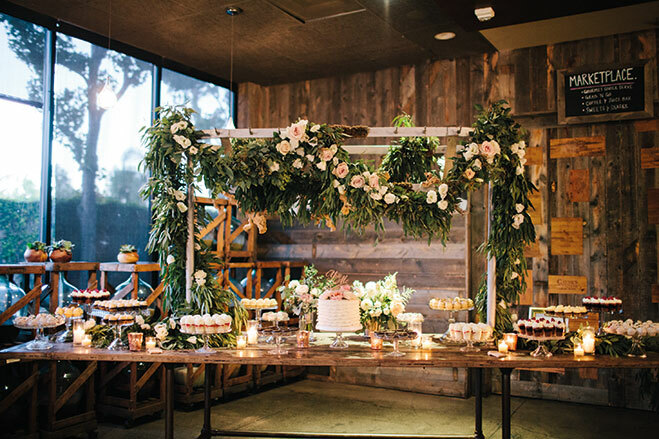 An abundance of roses and garland by florist Lavenders Flowers creates a garden setting for the dessert display.